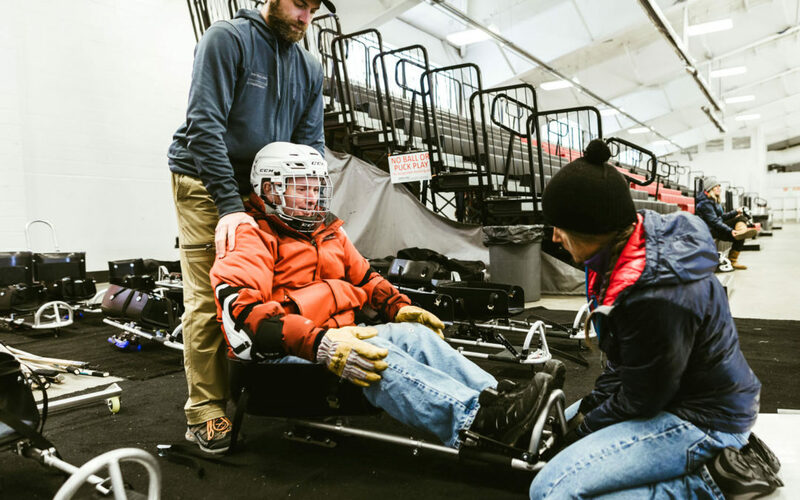 Juli VanEenenaam or Juli V, as she is known by many, has devoted her time as a volunteer to the valley’s adaptive ski program for nearly 35 years. Originally from Michigan, Juli V graduated from high school in Traverse City, got married and moved west to Silverthorne, Colorado. During her year in Colorado she discovered a love for skiing, a sport that she was able to take to the next level a year later when she moved to Jackson Hole. Juli began her time in Jackson working at Happy Joe’s Pizza and Ice Cream Parlor and then Safeway, which was where Staples and Hoback Sports are today. Not long after arriving in the valley Juli V began exploring ways to give back to the community and signed up to work as a member of the Junior Chamber of Commerce. During her first year working with the “Jaycess,” as they were known, Juli V was asked to help serve breakfast to the Special Olympic competitors. An interaction Juli V had with a young Special Olympian has stuck with her to this day. Juli V went and watched the girl and the other athletes compete that day. Not long after, Juli V began volunteering for Don Carr’s ski buddy program through the C-V group. In 1999, Kurt Henry began a similar program for all Teton County kids and recruited Juli V to help volunteer with their ski program. By 2000, Juli V was volunteering three days a week skiing with the group. To this day she continues to volunteer all three days for the adaptive winter ski program. “The best gift I can give is my time,” is the way Juli explains her decision to be such a reliable volunteer, noting that she enjoys knowing that her work may help relieve some responsibilities for parents. 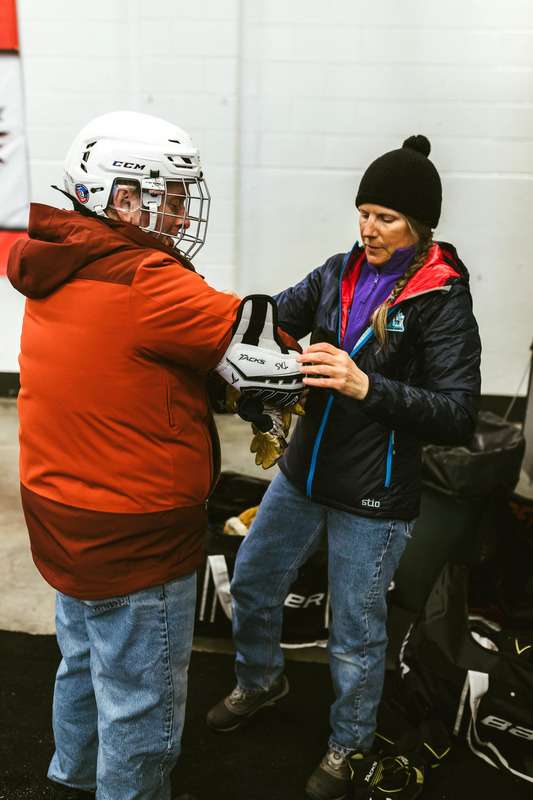 Juli V. helping Sean with safety gear at Sled Hockey Sundays. Photos: Peter Lobozzo. Subscribe to our mailing list to receive the latest news and updates from the TAS Adaptive Community like TAS programs, news, and gatherings. Let's explore possibilities!